Denali National Park and Preserve hosts the tallest mountain in North America. It can be hard to get here, but you can bring Denali into your classroom instead! 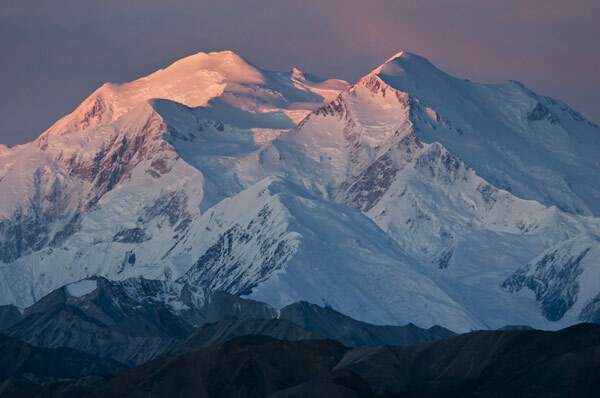 Learn about this tall peak and why exactly Denali is so tall in this program specifically designed for 4th-6th grade. The education staff at Denali can visit your classroom for free via the internet. Using a Zoom videoconferencing connection, Denali becomes just a click away. Once connected, our staff will spend an hour teaching your class about Denali's amazing natural resources using interactive lessons and activities. Please contact the Denali education team if you have questions about other videoconferencing platforms. Pre-conference activity takes about 1 hour, Zoom conference runs ~ 60 minutes. Many of our other videos are worth sharing with your classroom. Check out our panoramic images to get a taste of what being in the park is like. Registration opens October 8th. Spaces are limited and registration is handled on a first-come, first-served basis. Register using this printable form. Our free, interactive presentations are available from November 1st through March 8th (with breaks around some major holidays). Note: Please be aware that Alaska is in the Alaska Time Zone (AKST) and follows daylight savings time changes. Programs cannot start any earlier than 7 am in the Alaska Time Zone, which means programs for schools in Eastern Time cannot start before 11 am, Central Time 10 am, Mountain Time 9 am, and Pacific Time 8 am. Please consider this when listing your available times on the registration form.